You guys, Era Istrefi is back!!! Era who? How dare you. But also, this is why I’m here for you. About a year ago (longer than that if you’re a true connoisseur), Kosovar singer-songwriter, Era Istrefi, released her first official single with Ultra Music, “Bon Bon.” The dancehall-inspired track, originally recorded in her native language and later re-released in English (as a remix ft. Post Malone), shook the entire globe and led to Era’s inevitable US crossover. Some were quick to compare her voice and style to Rihanna’s, but we seriously need to stop comparing women in music. The follow-up, “Redrum,” is a velvety synth pop dream riddled with lyrics that are “sweet like honey.” Prod. 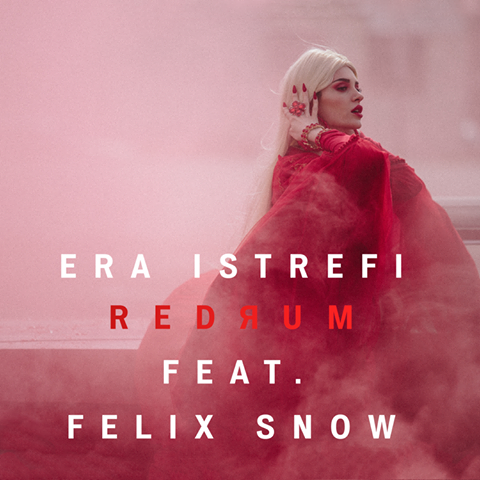 by Felix Snow (the man behind Kiiara’s “Gold”), “Redrum” marks the beginning of a new Era. Listen to the track and watch the stunning music video below!